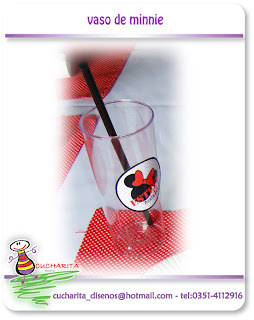 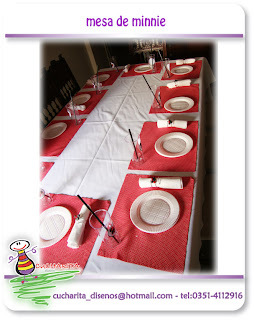 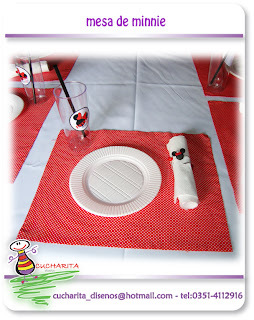 MESA PARA CUMPLE DE MINNIE - MANTEL BLANCO. INDIVIDUALES DE MINNIE ROJOS A LUNARES BLANCOS. 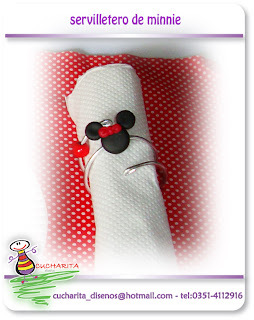 SERVILLETEROS DE MINNIE REALIZADOS EN ALAMBRE, CON PELOTITAS DE MANDERA ROJAS Y MINI APLIQUE EN PORFELANA DE CARITA DE MINNIE. VASO TRANSPARENTE CON STICKER CON EL LOGO DEL CUMPLE Y BOMBILLA NEGRA.